Portfolium has raised a total of $2.1M to help employers make better matches between entry-level candidates and jobs on the basis of students' digital portfolios vs. their sparse, limited resumes. While LinkedIn has only gained traction with 13% of millennials, Portfolium has partnered directly with leading universities to drive impressive adoption by undergrads and recent grads. Portfolium, Inc. today announced that it has closed $1.2M in new funding led by investments from University Ventures, Seed San Diego, and Vertical Venture Partners. To date, the company has raised a total of $2.1M to scale its ePortfolio network, designed to help students showcase their potential to employers via class projects and work samples that align to professional, on-the-job requirements. Companies in the US spend $19B annually on campus recruiting programs. These costs are driven by a cumbersome process of matching students to jobs, which includes an average of 38.7 days spent finding and filtering resumes to determine who is worth interviewing, followed by subsequent rounds of interviews and assessments, according to a report by NACE. Portfolium accelerates the hiring process significantly by helping companies quickly connect with a short list of students who can offer a true preview of their capabilities. Such a solution isn’t possible via LinkedIn.com, which has only seen traction with 13% of millennials. To connect directly with employers, Portfolium today has also announced that it has partnered with eQuest. eQuest provides domestic and international job posting delivery to thousands of customers worldwide. With its global reach, eQuest posts jobs to any posting destination in the world, reaching over 180 countries and territories and thousands of job posting destinations worldwide. Technology's continuous, disruptive impact on the way people work suggests a larger, permanent trend that extends well beyond entry-level student hires. "From now on, job descriptions will become outdated by the time they are posted. So a candidate's past work experience is becoming less relevant as a predictor of future performance," said David Schwab, Managing Director at Triton and Vertical Venture Partners. "Assessing the adaptive potential of a candidate is the hiring challenge of our time. Portfolium is taking a big, smart swing at the challenge." Portfolium, a San Diego-based startup headquartered at the EvoNexus high-tech accelerator, has quickly become the partner of choice for colleges and universities looking to help students get a better start to their careers. 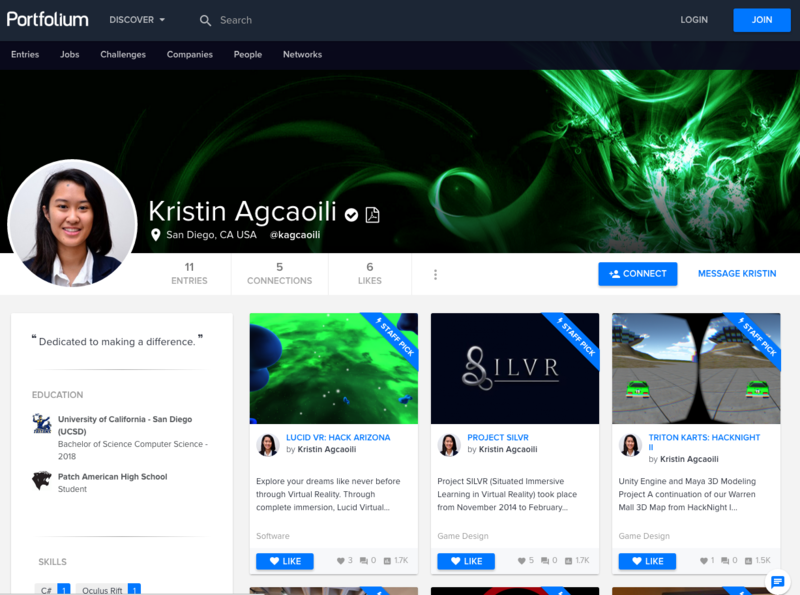 Students from over 2,000 schools, including top engineering schools like Cal Poly and UC San Diego, are using Portfolium’s cloud-based platform to create an instant portfolio that conveys a clear picture of abilities beyond what can be displayed in a resume, transcript or LinkedIn profile. Students can get their portfolio of work on the radar of corporate recruiters by following companies, entering talent challenges, and applying directly to jobs on Portfolium’s job board. University Ventures (UV) is the only investment firm focused exclusively on the global higher education sector. UV pursues a differentiated strategy of 'innovation from within'. UV has the deepest respect for the missions and traditions of colleges and universities around the world and is confident that through innovation, these same institutions will be successful in fulfilling and expanding their missions. By partnering with top-tier universities and colleges and then strategically directing private capital to develop innovative programs of exceptional quality that address major economic and social needs, UV is setting new standards for student outcomes and advancing the development of the next generation of colleges and universities on a global scale. Seed San Diego (SSD) invests in passionate founders with a bold vision who need both capital and additional business insight to achieve their next milestone. Drawing on each of the Partners’ startup experience and expert mentor network, SSD contributes capital and intellectual value to measurably move each portfolio company forward. The Triton Technology Fund (TTF) is a wholly owned subsidiary of Vertical Venture Partners (VVP). TTF invests in companies commercializing technologies being developed at UC San Diego (UCSD) or by UCSD alumni. Companies can originate in any school including, for example, Jacobs School of Engineering, Rady School of Management, Scripps Institute of Oceanography, or the Medical School. Technology areas of interest include cloud applications, analytics, social media, mobile, materials, medical devices, digital health, healthcare IT, instruments and cloud software infrastructure. Of particular interest are technologies that can be matched with a targeted vertical market.